Select an Available Song and Dedicate it to Someone Special! Sponsor a song in one of our season concerts and be listed in the concert program with any dedication text you wish. You may choose from a list of available songs from one of our upcoming concerts in our season. 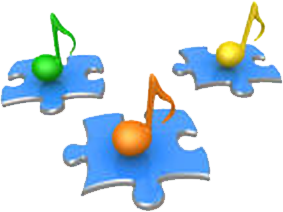 Song repertoires will be made available to song sponsors once the concert season has begun. Sponsor a song in the Harrisbrug Gay Men's Chorus upcoming concert today !! Step 1: Click on the button below to use our secure PayPal® feature to make a payment using a credit card or your PayPal account - or - send a check in the amount of $25.00 to the address listed at the bottom of the screen. Be sure to include your name, email address and phone number. Step 2: Once payment has been received, we will contact you with a list of available songs from our upcoming concert, from which you may choose the song you wish to sponsor and provide us with any dedication text you want included in the concert program.